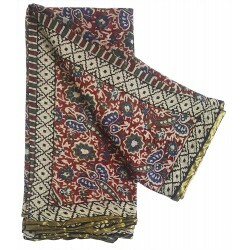 Alluring handloom made Bagru block print chiffon saree. 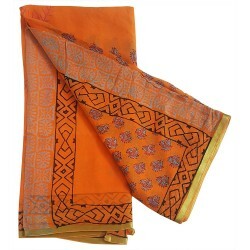 Bagru saree colors are made with natural vegetable dyes. 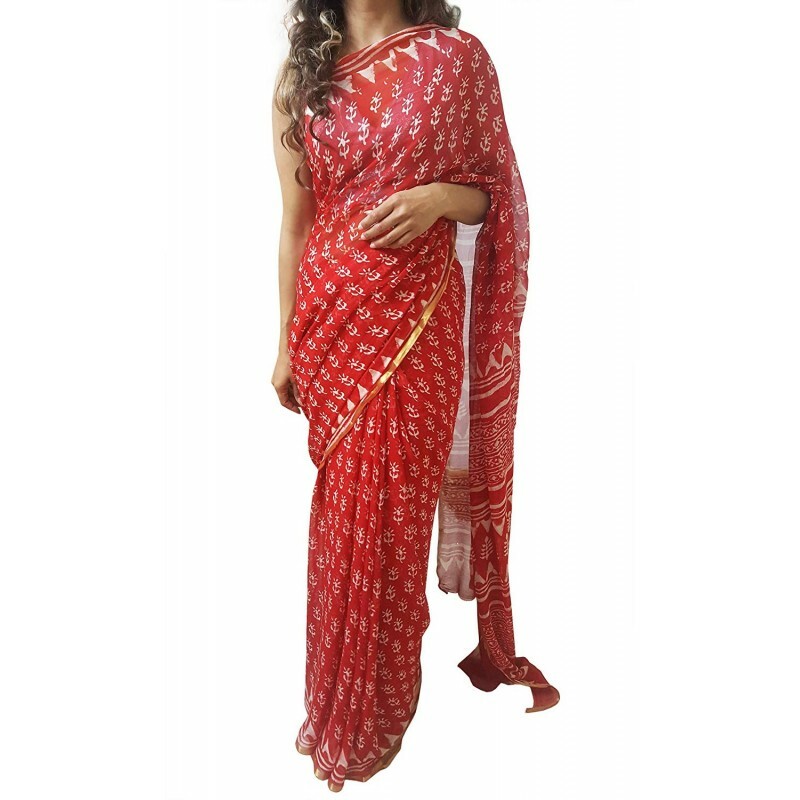 The length of this saree is 5.5 meters with pallu & blouse piece is attached to the saree. Imperfections associated with handblock printing may be observed & colors may fade or bleed due to the traditional dying & printing process employed. Beautiful traditional handloom high quality Bagru block print chiffon sarees with beautiful unstitched blouse, made by the weavers of Rajasthan. 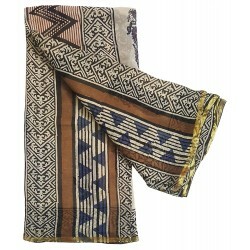 Bagru printing is one of the traditional printing with natural vegetable colors using dyed background. Bagru chiffon sarees can be adorned for both formal & casual events, they can make any one look classy & effortlessly graceful. 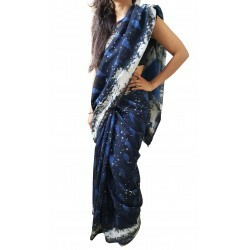 These sarees are fairly light in weight & are suitable for summers. 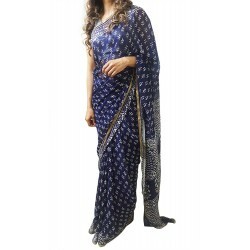 These sarees are made to perfection which will make you look glamorous & attractive. Our sarees come directly from the weavers, as we believe in providing quality products with new designs, for winning the trust & confidence of our customers. This is a perfect accessory for your wardrobe & gift for any occasion.